No, this is not an Onion article. This is real life. Paul Horner, 38, has been writing completely made-up news on his “satire” site abcnews.com.co (which even uses a logo designed to mimic the real ABC News logo) for year. But he is just now realizing the damage fake news disguised as real news can do. 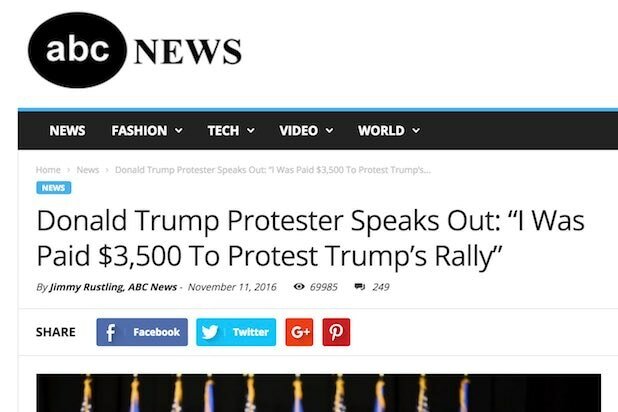 If you’re wondering why Horner would even write such a thing — and are perhaps even more puzzled as to why he’d create an ad on Craigslist, which essentially validates his claim in the eyes of any amateur fact checker — it’s because Trump supporters “were under the belief that people were getting paid to protest at their rallies,” he says. If you’re currently staring at this story and screaming, “OF COURSE THEY BELIEVED IT! YOU WROTE IT AS FACT AND EVEN MADE A FAKE CRAIGSLIST AD TO BACK IT UP,” Horner wants you to know that he thought his brand of “satire” would actually hurt the Trump campaign by making his supporters look stupid. Horner said he runs 10 sites that pollute the internet with fake headlines like “Breaking: Capitol Hill Shooter Identified as Right-Wing Extremist” and “Fireman Suspended & Jailed By Atheist Mayor For Praying At Scene Of Fire”, and that he makes about $10,000 a month from Google AdSense. That may end soon: Google says it will no longer allow companies that run fake news to use its online advertising service. Horner said he hopes his sites don’t get lumped in with “total BS sites,” because despite his recent epiphany that people are taking his disinformation as fact, he still plans on continuing to write it. True, if they’re actually doing satire. Horner’s next sentence, however, suggests he has a fundamental misunderstanding of what satire is. Satire is defined as the use of humor, irony, exaggeration, or ridicule to expose and criticize people’s stupidity or vices, particularly in the context of contemporary politics and other topical issues. But good satirists want their audience to be in on the joke, as opposed to taking the joke literally. Sacha Baron Cohen’s “Borat,” for example, wasn’t a comedy designed to make movie theater audiences think his character was real, but rather he used the fake character to illuminate very real racism and stupidity plaguing the country. 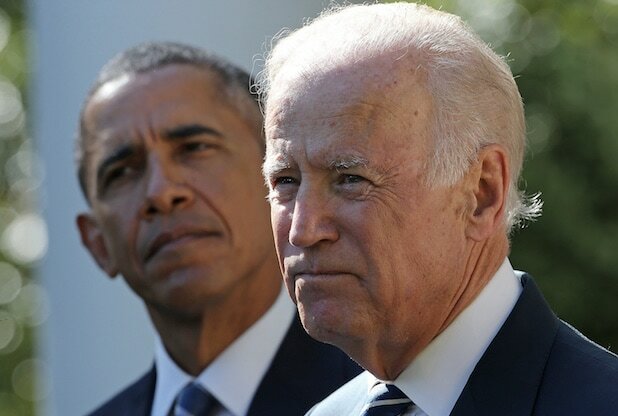 “Obama Signs Executive Order Declaring Investigation Into Election Results; Revote Planned For Dec. 19th,” isn’t clever commentary on the truth. It’s just untrue.